MainAll NewsDefense/SecurityIsraeli official to discuss military aid with U.S.
Israeli official to discuss military aid with U.S.
National Security Council interim chief to visit Washington and advance negotiations on new aid agreement. Israel said on Monday that one of its top security officials will visit Washington to try to advance negotiations on a new program of American security aid for the Jewish state, AFP reports. A statement from Prime Minister Binyamin Netanyahu's office said National Security Council interim chief Brigadier General Jacob Nagel would visit the United States on Sunday. It said Nagel would meet "his counterparts from the White House in order to sign a new memorandum of understanding between the two countries as soon as possible". The current defense agreement between Israel and the United States remains in force until 2018, and Netanyahu has been urged to accept President Barack Obama’s 10-year military aid package which reportedly includes a total of $145.8 million for Israeli missile defense programs, a sharp drop in financial support. A total of $3 billion in defense aid is given annually, but Netanyahu has asked for an increase to $5 billion annually, in light of the greater need for security due to the growing Iranian threat after the nuclear deal. 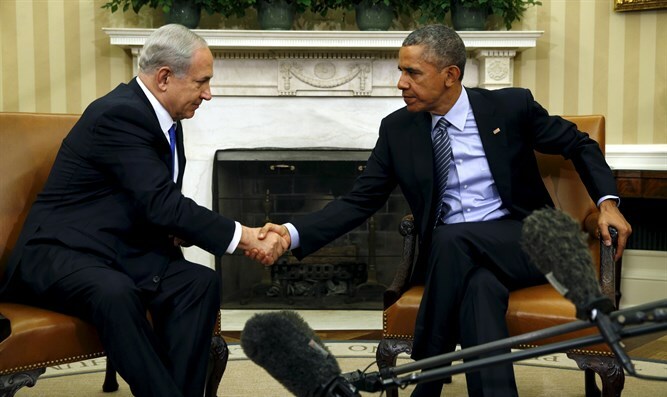 Despite the disagreements, however, officials in Washington recently said they believe Netanyahu would sign the new memorandum of understanding with the Obama administration instead of waiting for the next president. "Israel attaches great value to the predictability and certainty of the military assistance it receives from the United States," Monday's statement said. The statement is in line with comments made by Netanyahu last week, when he told Knesset members that "I hope that within a few weeks, we will close the agreement on defense aid with the United States."